Bale vs Ronaldo - who will come out on top? Wales take part in their first ever major International football tournament semi-final on Wednesday, when they face Portugal at the Stade des Lumieres in Lyon. This is very much unchartered waters for Wales, who have already eclipsed their previous best showing in a major football tournament at World Cup 1958 – losing 1-0 to Brazil. 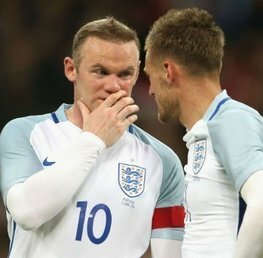 The 2-1 defeat in the second group game against England seems a distant memory now. Despite Wales laying claim to undoubtedly one of the best footballers in the world at the moment, in Gareth Bale, Wales’s biggest strength throughout Euro 2016 and throughout Chris Coleman’s reign in charge has been their teamwork. Every player in the Wales team knows exactly what their role is, gives 110% and perhaps most importantly knows their limitations. There is no doubt that Wales rely heavily on Gareth Bale to provide pace, strength and attacking flair in the final third, but there is steely determination that you can’t help but be impressed with. Wales were really impressive against Belgium last Friday and that should give great impetus to Coleman’s men to go one further and beat Portugal. Wales will be without Aaron Ramsey and Ben Davies, who both serve one game bans. Wales have a few options to replace Aaron Ramsey, with either Jonny Williams or Leicester City’s Andy King likely to replace Aaron Ramsey. James Collins should come in for Ben Davies as one of the likely Welsh centre backs. For me the absence of Ramsey and Davies could be crucial against Portugal, since Davies and Ramsey are both highly mobile players which Wales could have done with against a pacey Portuguese front line who are likely to dominate possession. Portugal have far more experience than Wales at this stage of a competition, having reached at least the semi-final stage of a European Championship or World Cup seven times. However the Portuguese hold a bizarre record at Euro 2016 of failing to win a game inside 90 minutes. Portugal have hardly been free flowing during this tournament, and given their 3rd place finish at the group stage, would have been eliminated in past tournaments. However whenever you watch Portugal, you get the feeling they can conjure up a goal out of nothing in a split second. I have watched Portugal and been really frustrated watching lots of attacking build up play, but a lack of penetration in the penalty box. Against Poland I did see signs that Portugal had a touch more guile and fluency, but I still got the feeling Portugal needed five or six chances to score a goal. Portugal always seem to give the opposition a chance, but there’s no denying their potential firepower going forward if it all comes together. For a team without a recognised striker and no wins at Euro 2016, Portugal have done extraordinarily well to get to the semi-final. Technically Portugal have some of the finest players at Euro 2016, and in Renato Sanches one of the most outstanding young players in the world. Renato Sanches has been fending off allegations about his age this week, but nobody can deny his talent. Fernando Santos has been tentative to play Renato Sanches in this tournament, but in from the start against Poland, Sanches absolutely ran the game, outscoring and outshining Cristiano Ronaldo. I have also been impressed by Nani at this tournament, who has unquestionable talent. I just have a sneaky feeling the Portuguese might get themselves together for this game, and actually win a game in 90 minutes! I think the Portuguese midfield will be able to dictate the play and with the absence of Davies and Ramsey, that might just tip the balance in favour of Portugal. Portugal haven’t won a game in 90 minutes at Euro 2016. Portugal are unbeaten in their last 12 competitive matches. Portugal have now reached the semi-final of the European Championships five times. Portugal have a 75% winning record in penalty shoot-outs at major tournaments – 3 out of 4. Portugal have forced 39 corner kicks and conceded just 13 corner kicks at Euro 2016. Wales have scored 10 goals at Euro 2016, which is one behind the highest goal scorers, France. This is the first time Wales ever reached the semi-final of major International football tournament. Wales and Portugal have never met in a competitive match, just a friendly games. 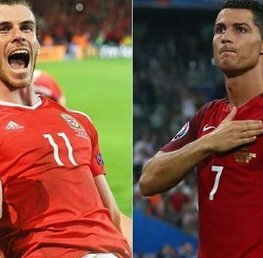 There’s been a lot of talk about who is more vital to their respective teams, either Ronaldo for Portugal, or Bale for Wales. I think Ronaldo will have a bigger impact in this match, and perhaps naively fully expect Ronaldo to rise above the rest in this game. Ronaldo revels in the big show piece games, and I just can’t see Wales keeping Ronaldo at bay for 90 minutes. Wales have been strong throughout the tournament, but I do think the Belgium win flattered Wales somewhat. Wales have had a bit of luck (much deserved), but I think Portugal might a bit too clever for Wales on Wednesday evening. It wouldn’t surprise me if this game does really explode with goals, cards, corners and attacking flair, so there should be plenty of opportunities to bet on! Portugal to win and both teams to score (best priced at odds of 19/4 with Stan James). Bet now with Stan James! Over 9.5 corners (best priced at 4/6 with bet365). Bet now with bet365! Over 4.5 cards (best priced at odds of 4/6 with bet365). Bet now with bet365!